Who Do We Call Upon? “Our Ignatian spiritual heritage is a resource that can help [people] delve more deeply, think more profoundly, to feel with greater sensitivity the shape and texture of what is true and good, so as to choose it,” explained Fr. Jim Voiss, S.J. (’82).Gonzaga Trustee Emeritus Tim and Mary Barnard have an appreciation for the Jesuits that runs very deeply. But it isn’t only what these men do that has been so inspiring — it’s what they give up. The Jesuits’ sacrifices and commitment to others provide for so many to learn and grow. 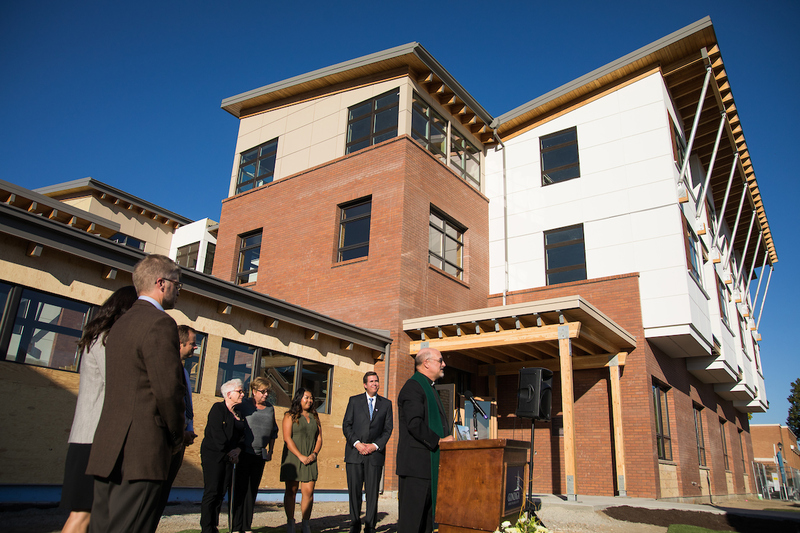 It was the altruism and principles of these men that inspired Tim and Mary Barnard to make a significant gift in support of a new home for Gonzaga’s beloved Jesuits. Barnard first encountered the Jesuits when he was a high school student. But it wasn’t until he attended Gonzaga-in-Florence as a Villanova student in 1971 that he truly came to understand their dedication. Barnard remained close to Fr. Lehmann for many years after, affectionately calling him “The Padre.” He recognized that their relationship was important, but not unique. So when Barnard was approached with the idea to improve the living conditions for Gonzaga’s Jesuits, he didn’t hesitate. The Barnards have been generous, longtime supporters of Gonzaga University, giving to scholarships, athletics, global engagement, the Jesuit community and much more for over 33 years. 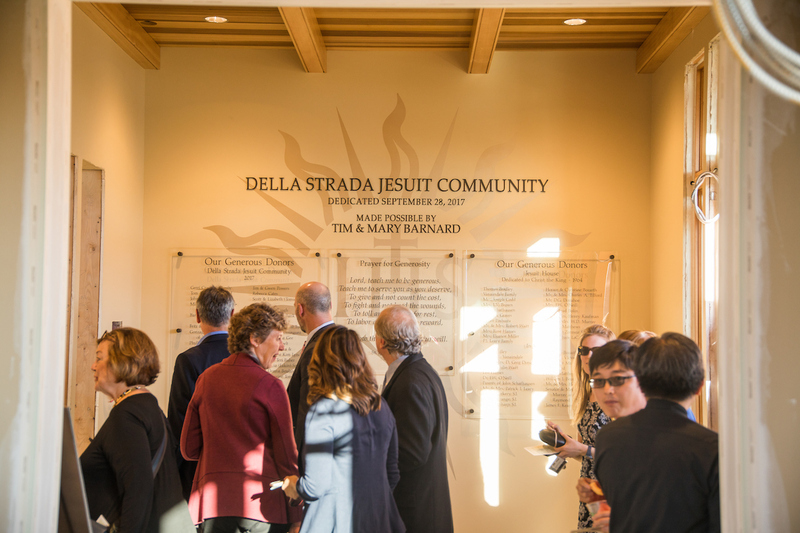 Together with the inspirational leadership of Trustee Emerita Gerri Craves, who led the fundraising effort, their gifts were foundational in establishing the Della Strada Jesuit Community, which was dedicated and blessed in September, 2017.